Think you are a short sale expert? Test yourself by reviewing the 10 points here. Then, if you have time, email us and let us know how you stack up. There is still money available for short sale sellers. Some lenders and some loans still qualify for relocation assistance on short sales. Not the $30K that we saw four years ago, but there is still money available. Banks don’t pay off all liens. It’s true that the first lien holder (if this lender is part of the short sale) will offer compensation to the other holders of Trust Deeds (mortgages). However, short sale lenders generally do not pay off other liens, such as child support or tax liens. Most banks do not pay for repairs. We’ve probably only had less than five short sales in our office where the short sale lender has approved a credit for a roof repair or some other repair to the property. Most lenders to not give credit for repairs. Most lenders do not pay for pest control or septic clearance. If you’ve got a home that needs termite and septic stuff, you may be best to find a cash buyer that is willing to take on these costs. Most lenders will not pay a dime for septic or termite clearance. You must close by the date on the short sale approval letter. Short sale lenders are usually pretty generous in that they give you about 45 days to close upon receipt of the short sale approval letter. However, if you do not close by the date on the letter, the lender is not required to approve the short sale or give you an extension. BPO’s aren’t valid for very long. Depending upon the short sale lender, the Broker Price Opinion (BPO) on which the lender bases their approval letter is only valid for 90 or 120 days. So, if you get an approval letter and then request a 45-day extension, the bank may want to recheck the value and revise the sales price. Most lenders approve a 6% commission. Long gone are the days when lenders cut the commission. Most short sale lenders approve the 6% commission, which is often higher than the 5% that you accepted on your last listing. The bank doesn’t care about you, your sellers, or the buyer. The entire short sale is a business transaction and the employees at the bank do not get wrapped up in the personal feelings and emotional drama of the parties to the transaction. Unfortunately, this means that lots of concessions may need to be made if the seller actually wants to participate in a short sale. Documents get lost all the time. Keep copies of everything you send to the short sale lender and have a good system in place for making notes of all communication with the short sale lender. Major miscommunication happens frequently and often documents do not get where they are supposed to go. Short sales are the gift that keeps on giving. When you list and sell a home as a short sale, your clients are often indebted to you and extremely grateful because you are helping them out of a jam. As such, short sales result in lots and lots of referrals—they are the gift that keeps on giving. 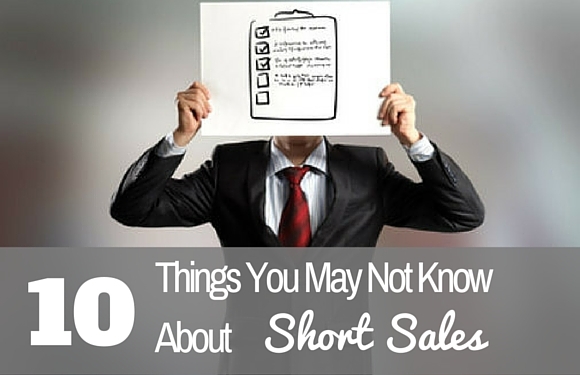 Have any questions about short sales? Feel free to contact our office.